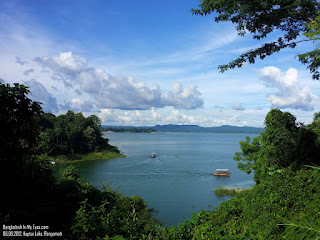 Rangamati Hill District is the largest district of Bangladesh, about 77 kilometers away from Chittagong. 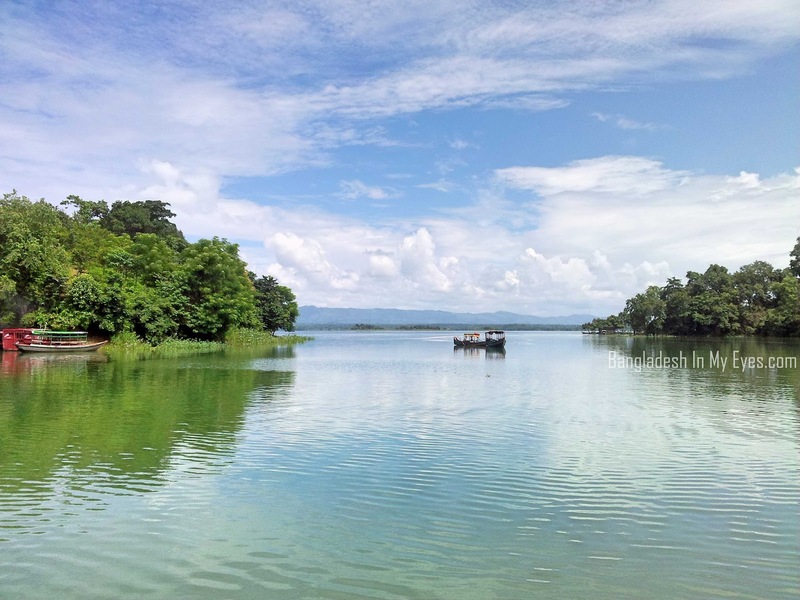 It's one of the main tourist spot of Bangladesh for its rich natural resources like green hills, lakes and rivers also for location, tribal people, tribal home made textiles, jewellery etc. 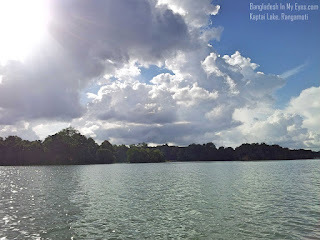 Without going there you will not understand why people keep saying beautiful Bangladesh. 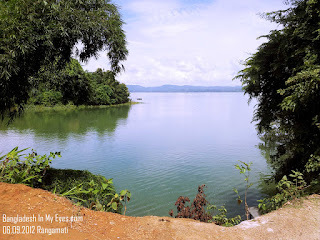 Rangamati (রাঙ্গামাটি) is one of the the most beautiful place I have ever seen in Bangladesh. Simply amazing!! 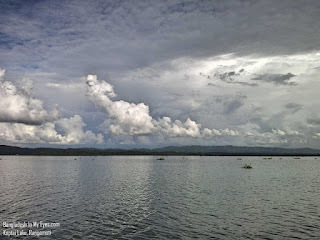 Clouds, people, lake, natural beauty, boats, hanging bridge, hill tracks and lots more. I can't describe them all, I'll try to write few things related to our journey. Starting with clouds. 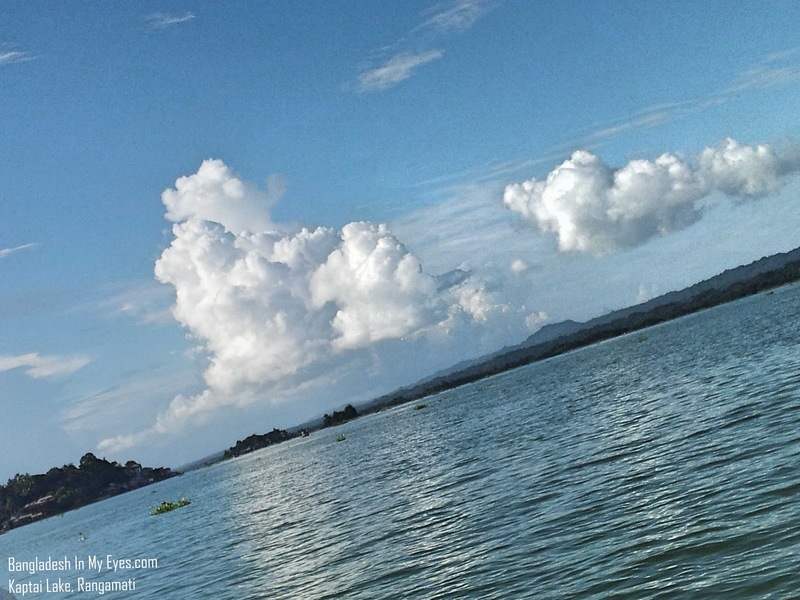 They are like clouds of heaven. 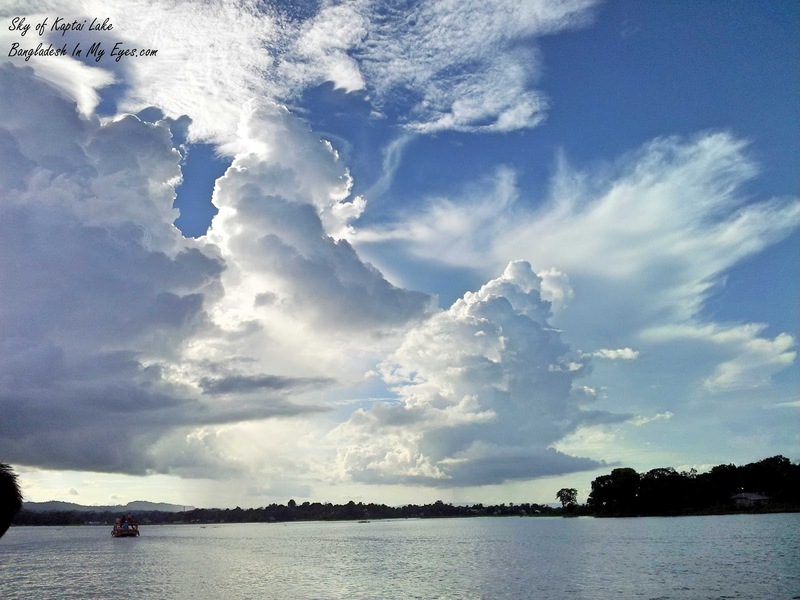 I never see such beautiful clouds anywhere in Bangladesh. 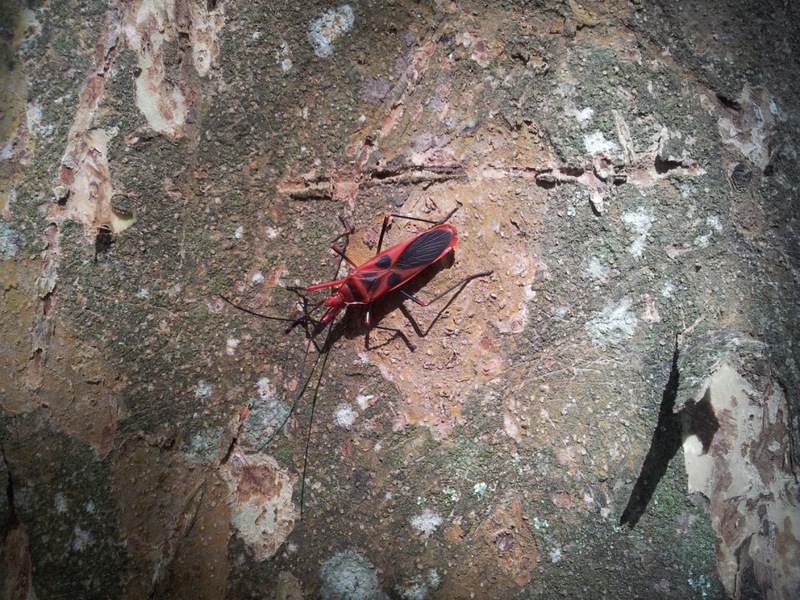 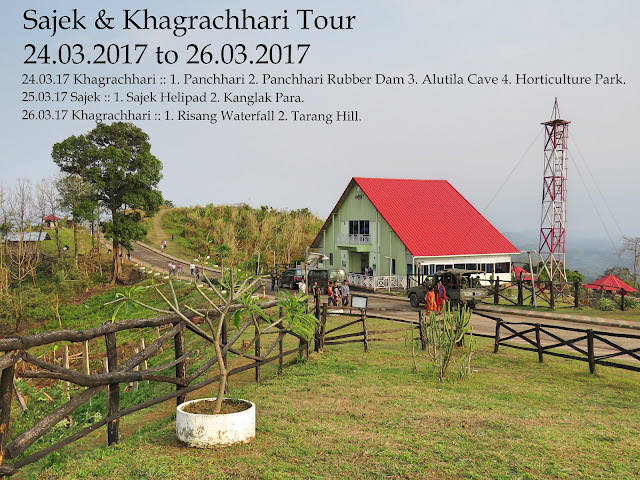 Chittagong Hill Track was divided by 3 hill district called Rangamari, Khagrachari and Bandarban. The former name of Chittagong Hill Track was Karpas Mahal. In 1981 Bandarban divided and in 1983 Khagrachari divided from Chittagong Hill Track. 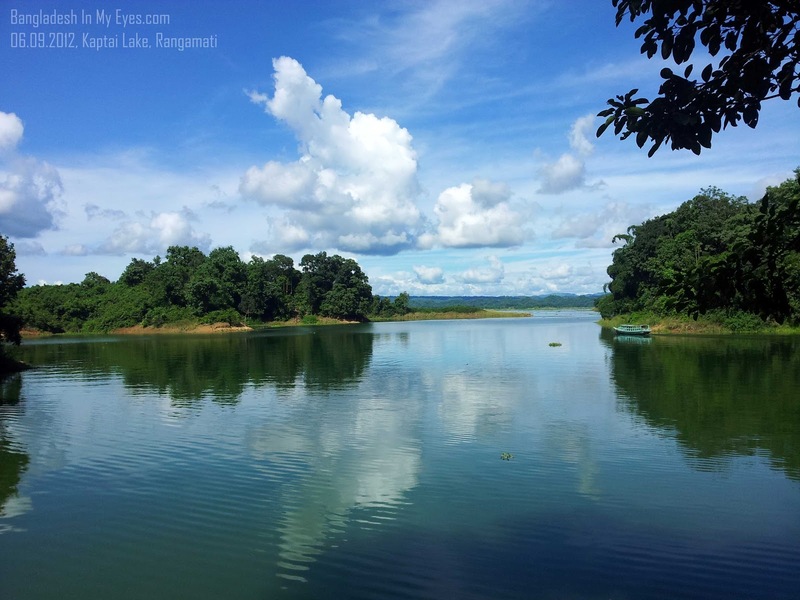 The total area of Rangamati is 6116.13 sq km. The total population is divided into Bengali-es and eleven tribes. 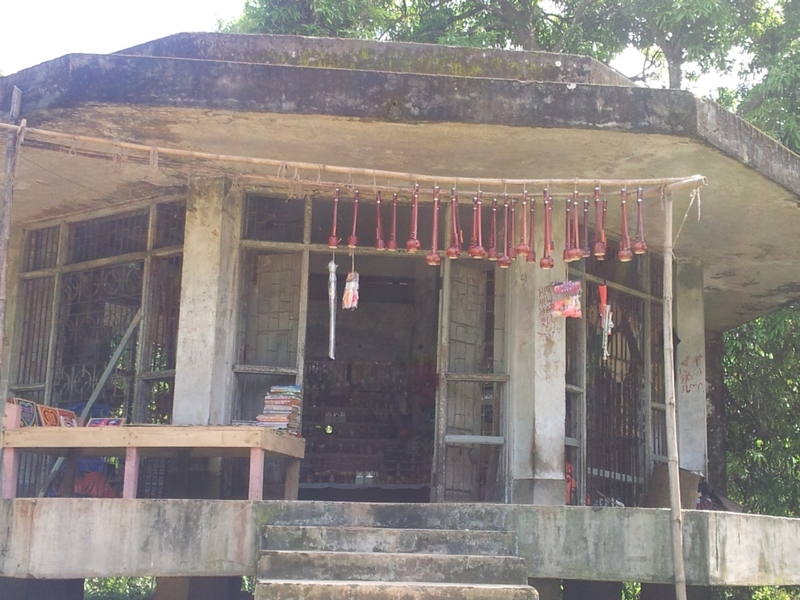 Chakma, Marma, Tonchongya, Tripura, Murong, Bome, Khumi, Kheyang, Chak, Pankhoa, and Lusai. 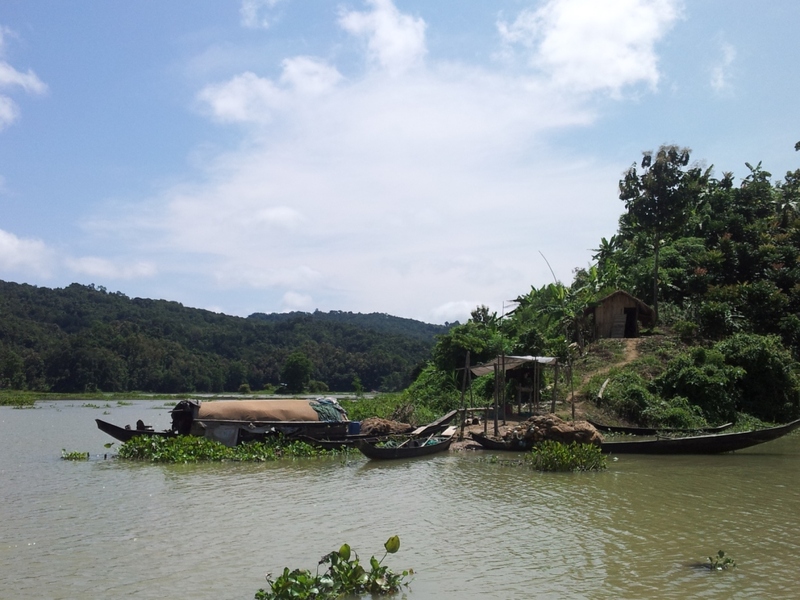 The majority of the people here are Chakma. 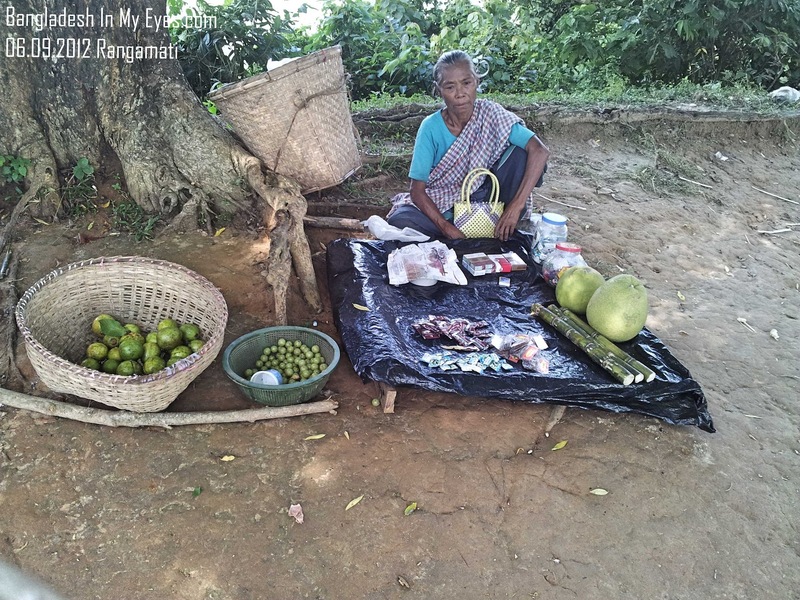 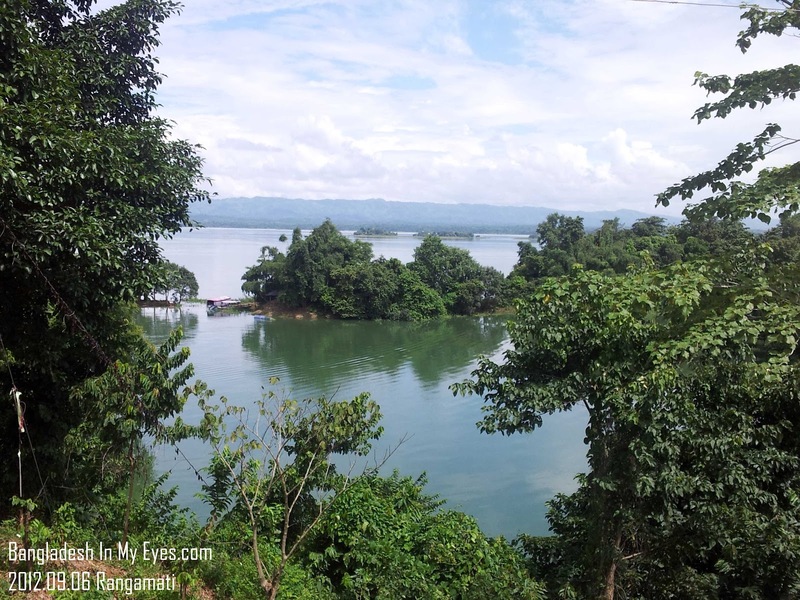 The mixture of different religions, races, customs & cultures creates an interesting society in Rangamati. 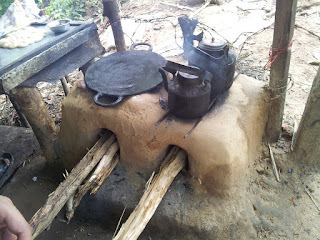 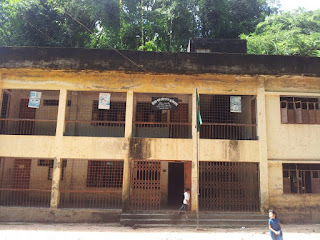 There is a Tribal Cultural Institute in Rangamati. 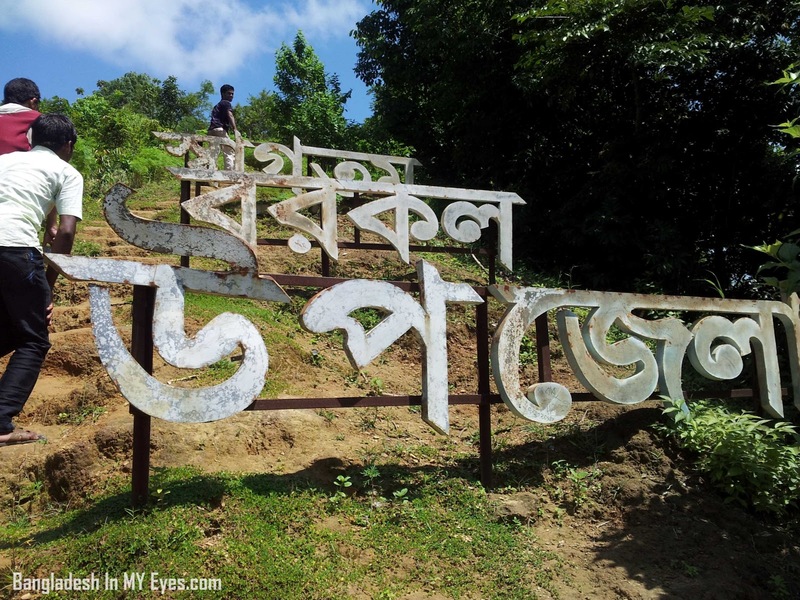 It was established in 1978, in order to preserving, promoting and developing the tribal cultures of the Chittagong Hill Tracts region. 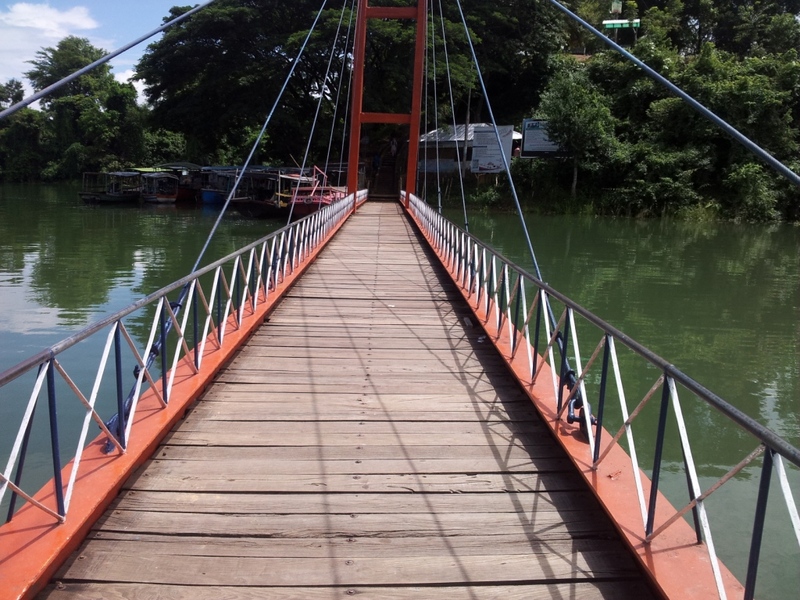 The Hanging Bridge: It's about 102 m long. 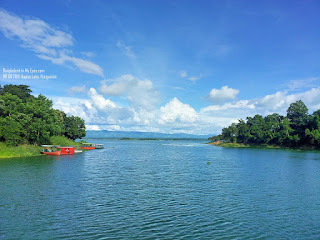 This place is called Parjatan Complex consist of Motel, Auditorium, Park, Picnic spot and boat to explore Kaptai Lake. 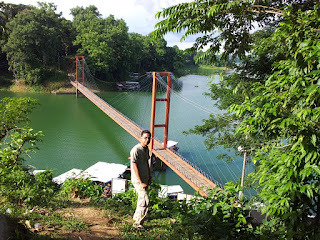 Most of the people go there only to see the Hanging Bridge over Kaptai Lake. It only shows one percent of the total beauty. 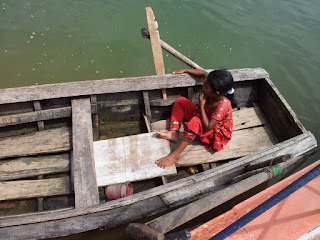 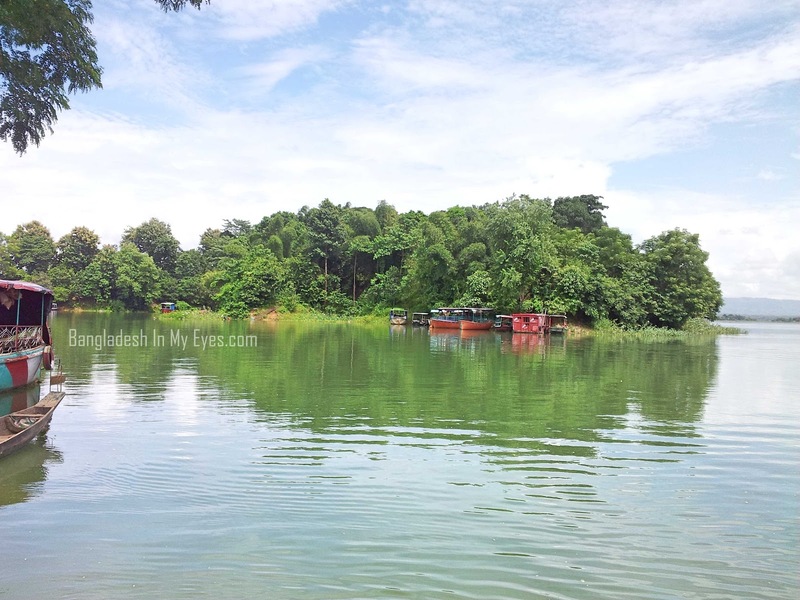 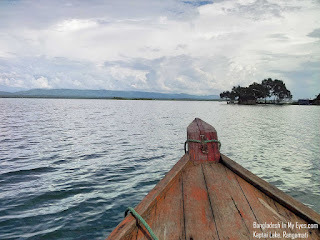 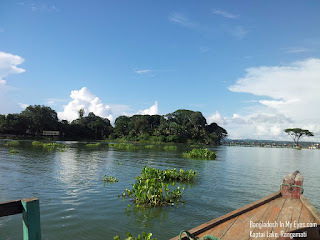 Some people go for boat riding over Kaptai Lake and visit different tourist spots. But still they miss something. 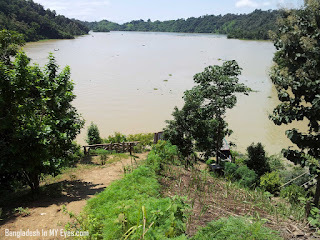 What we did, we walked around the surrounding area of the Hanging Bridge and we saw some amazing views of the hill track ares. 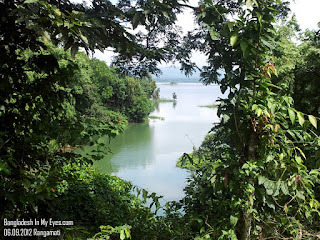 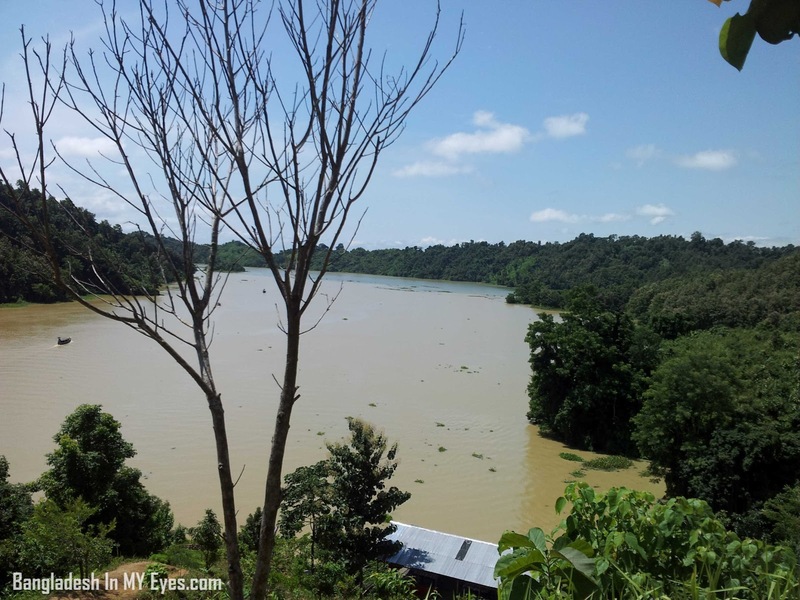 Specially the view of the Kaptai Lake from the top of the hill was mind blowing. Day 01: Explore the surrounding area of Hanging Bridge, Went to Rajban Bihar Buddhist temple by boat. 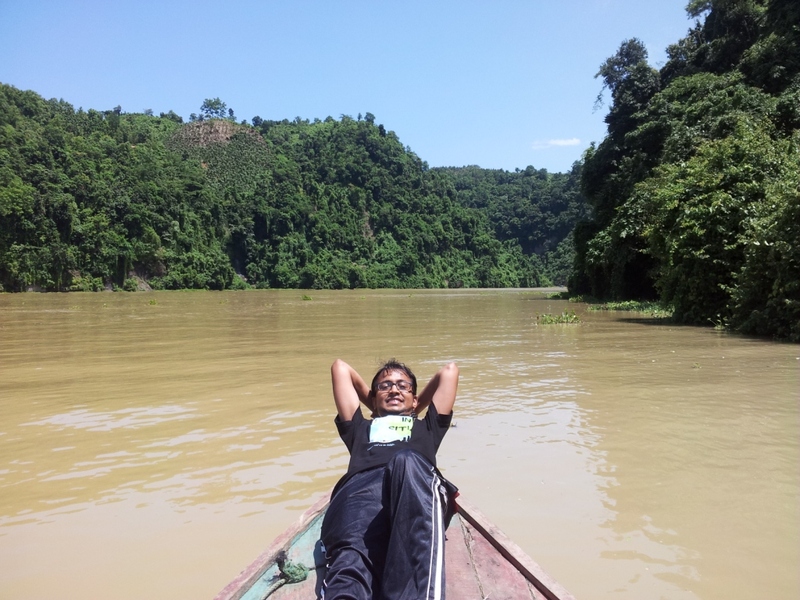 Day 02: Went to Barkal Hill Track and Shubhalang Waterfall by boat. 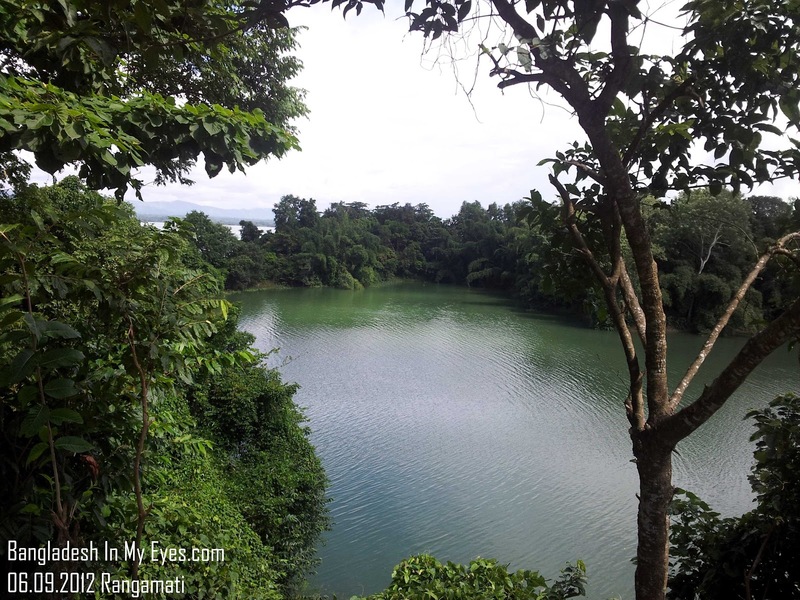 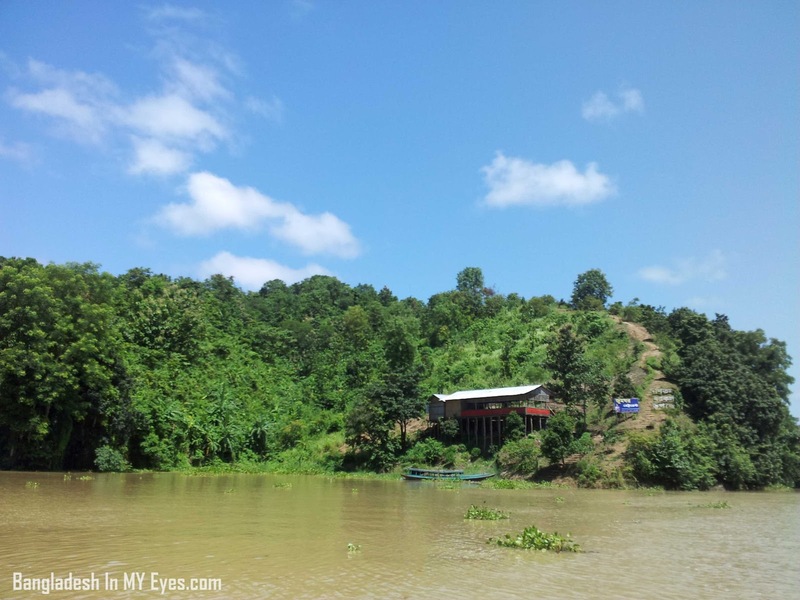 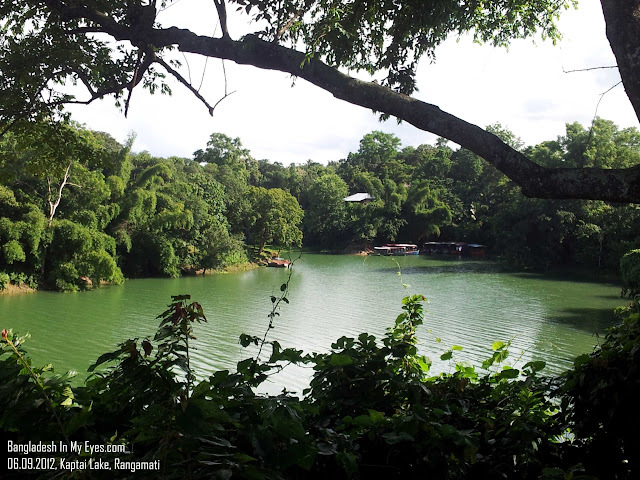 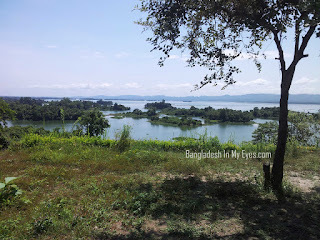 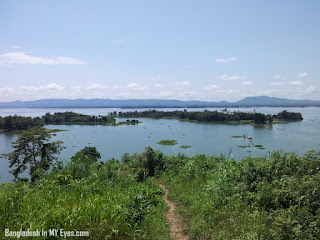 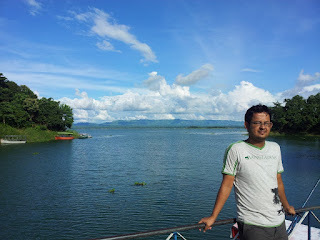 About my Rangamati Visit: I have visited Rangamati twice, 1st in 2012 and then 2013. 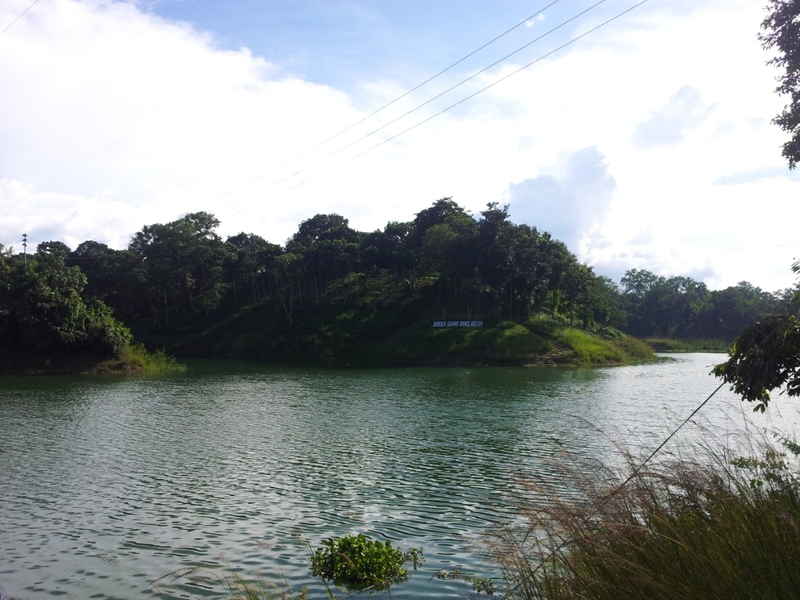 We started from Dhaka by bus. Early morning we reached there. 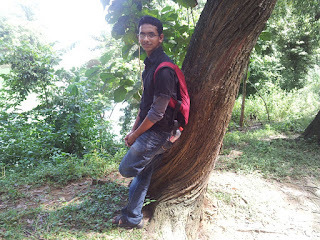 It was Thursday, 06th of September, 2012, I had some work to do in Rangalmati BTCL office. 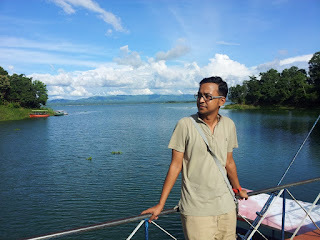 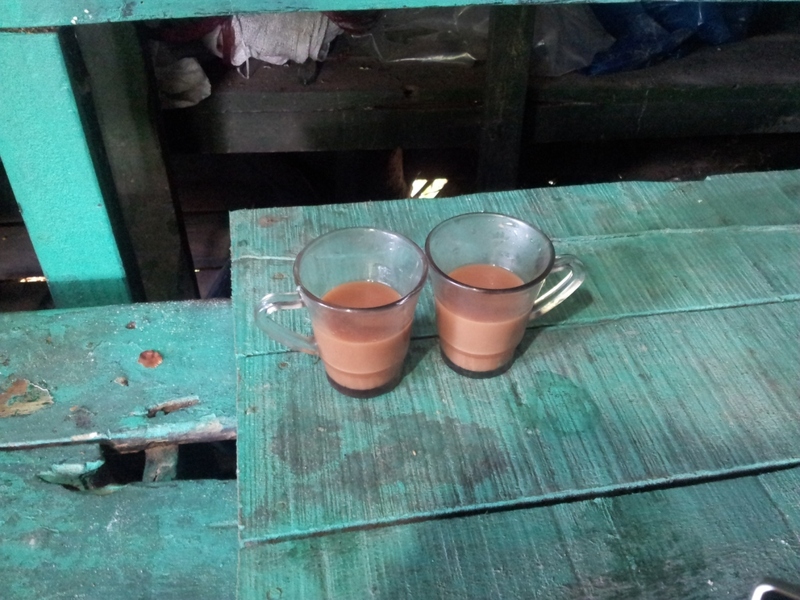 After the work we (with my friend Jakir) started exploring Rangamati. As usual first we went to the hanging bridge. We explored the surrounding area. 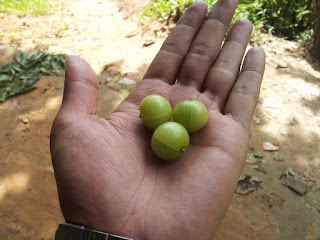 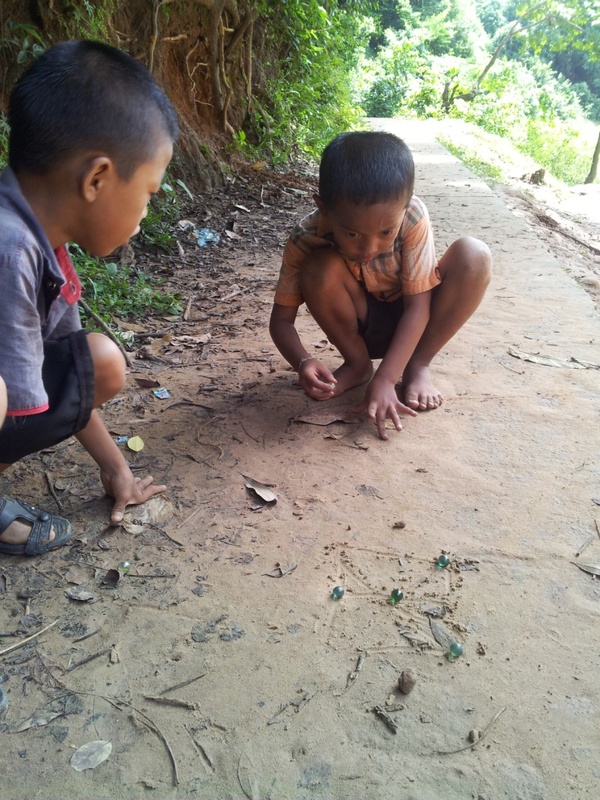 We met locals, found a school, some tribal boys playing marble on the street, took tea from the local tea stall up on the hill tracks, bought some fruits and captured lot of pictures. 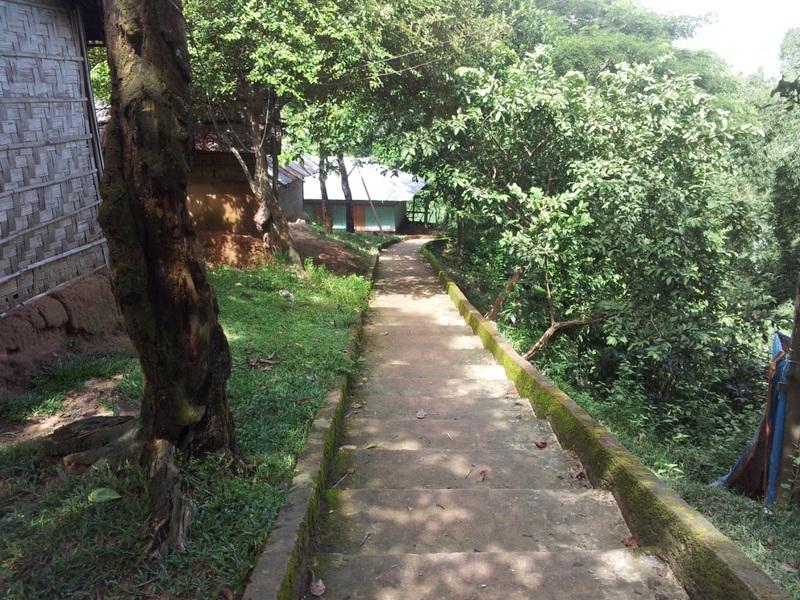 There is a resting place on the hill tracks. 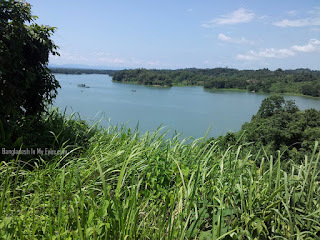 You can see wide areas from there. Afternoon we came back to the place we started and plan to make our next move. 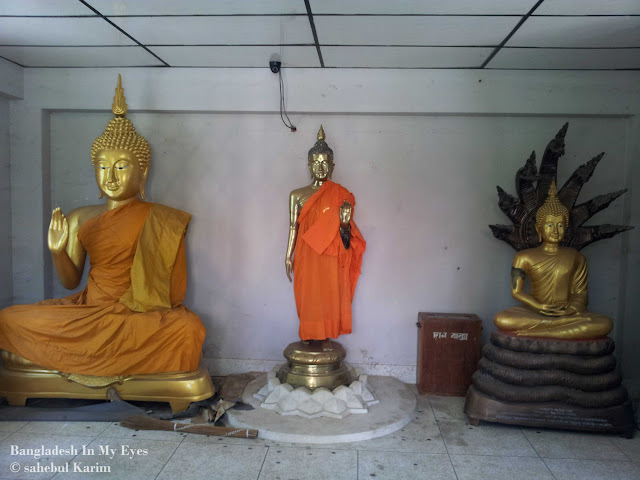 We rented a boat from “Holiday More” and went to see the Rajban Bihar (Buddhist temple). 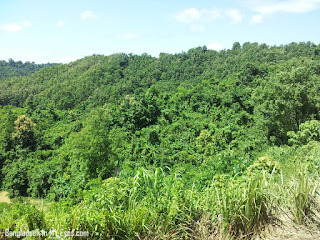 On the way we saw some small hill tracks and small waterfalls. 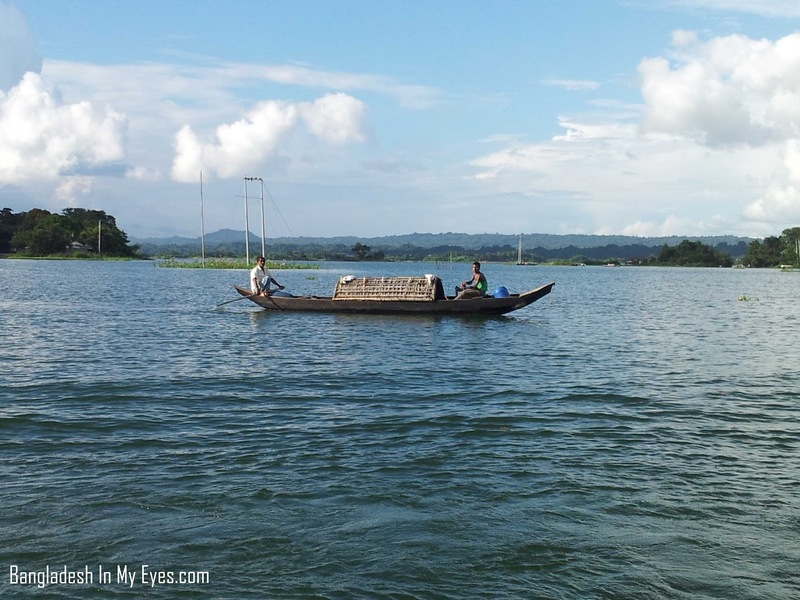 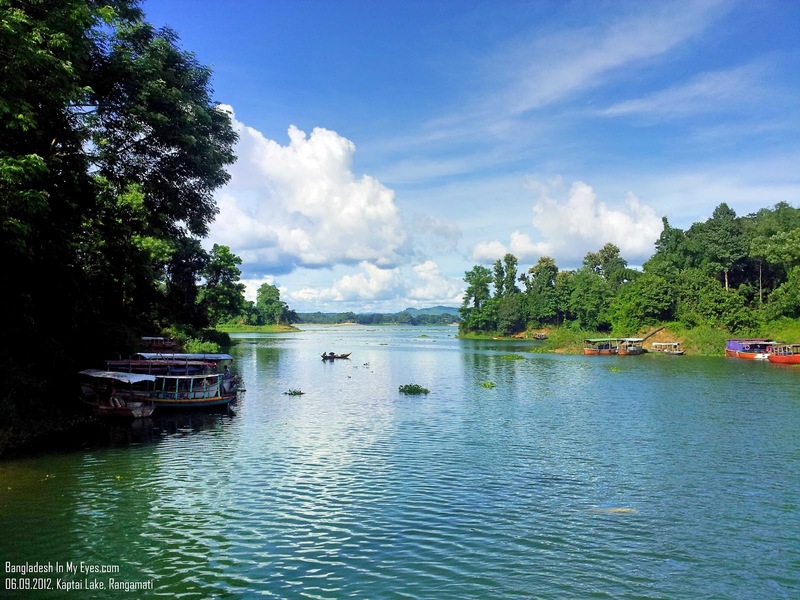 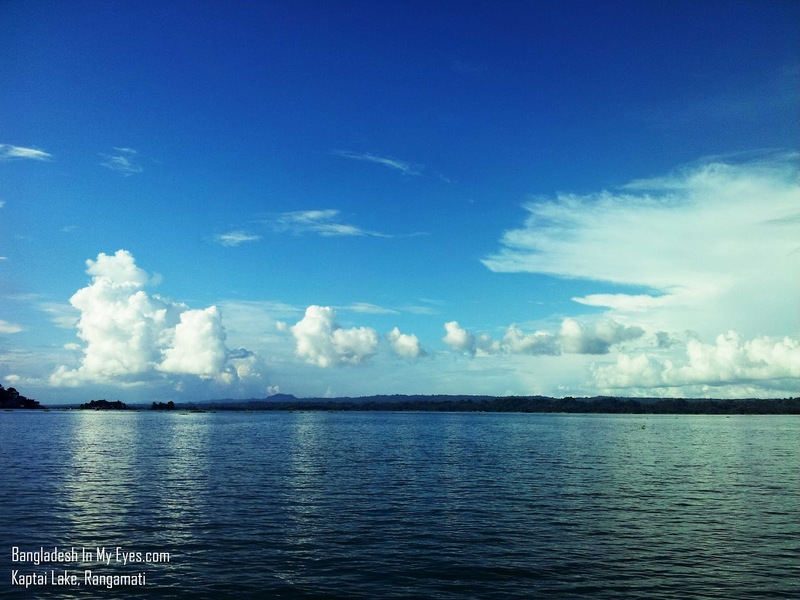 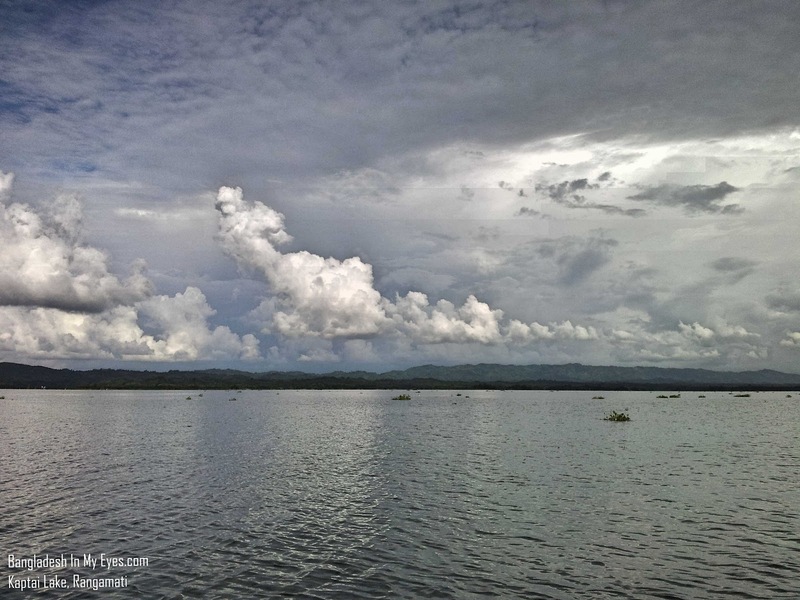 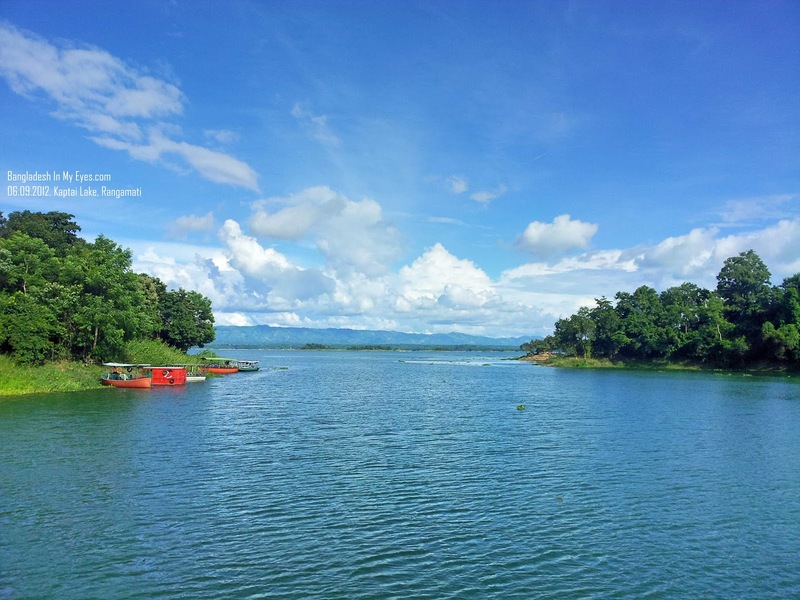 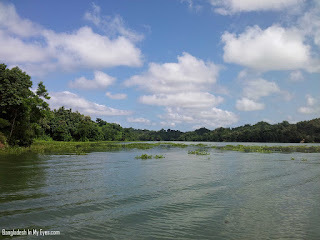 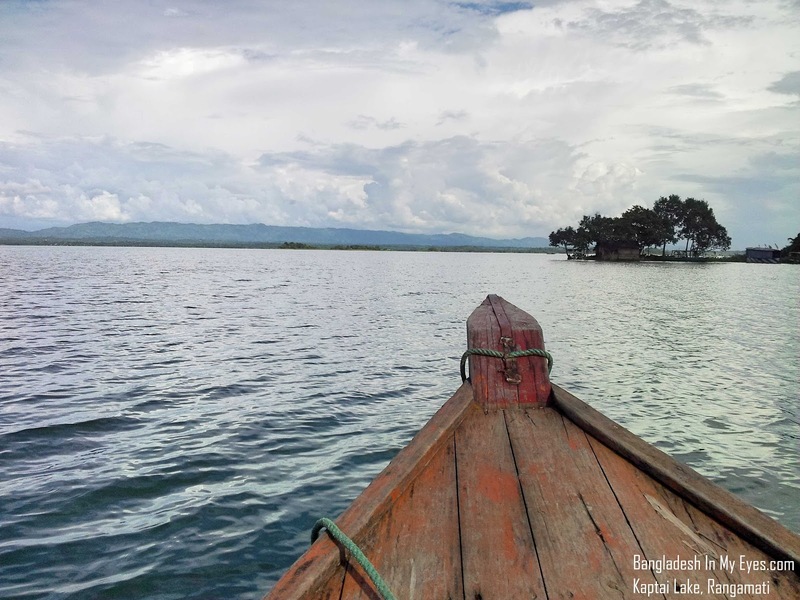 The beautiful Kaptai Lake, the villages and the clear blue sky with white clouds makes our trip simply special. 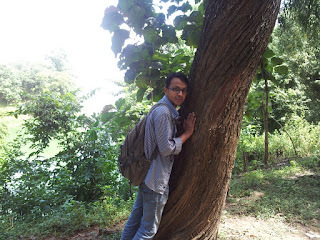 Next day we went to Barkal Hill Track and Shubhalang Waterfall. 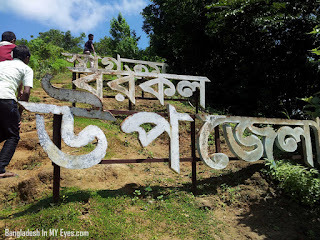 Subalong is under Barkal sub-district. We hired a boat from "Reserve Bazar Ghat". 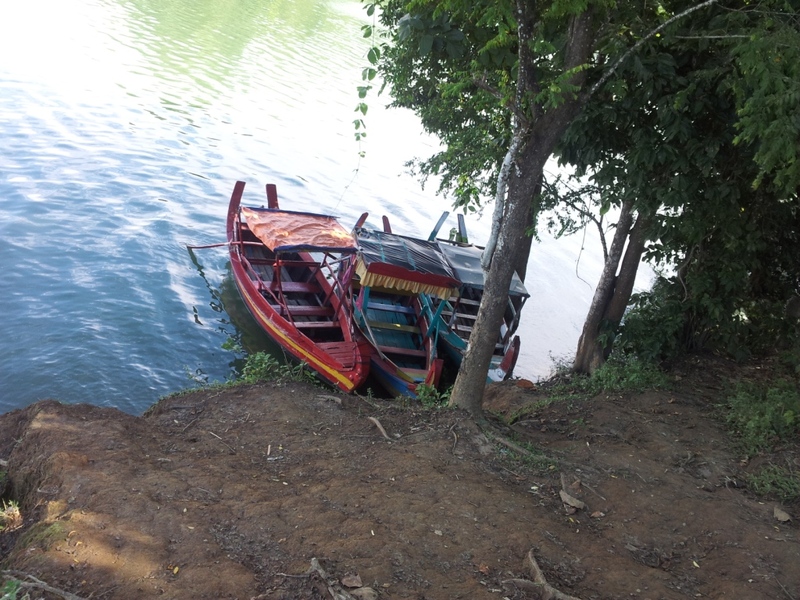 You can also hire a boat from Tobolchora or Fire brigade ghat at 400 to 500 tk. 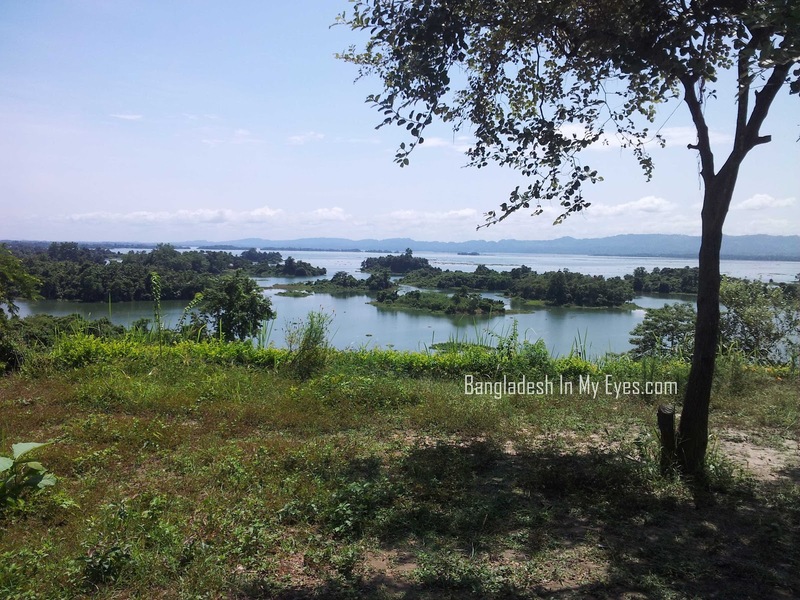 It's about 6 km away from Rangamati, two hour distance. 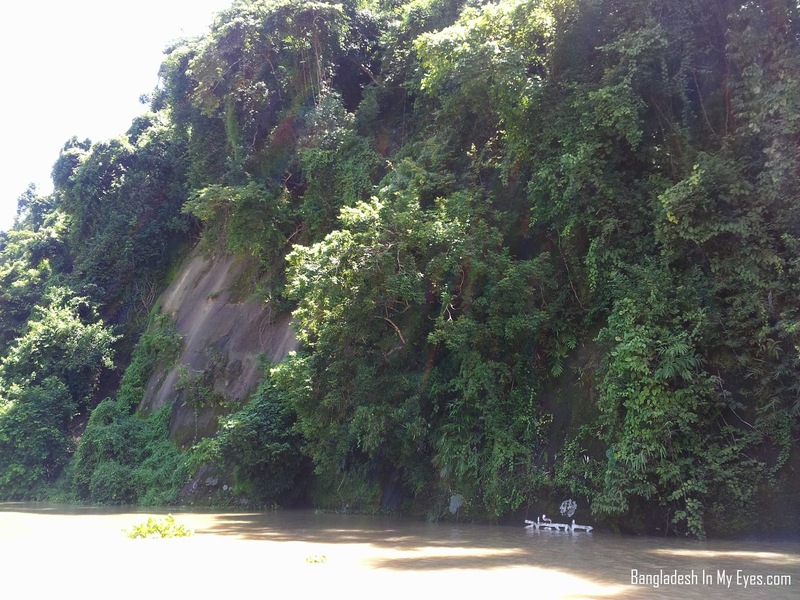 Shubhalang hill is about 580 m long and the water fall is about 45 m long. 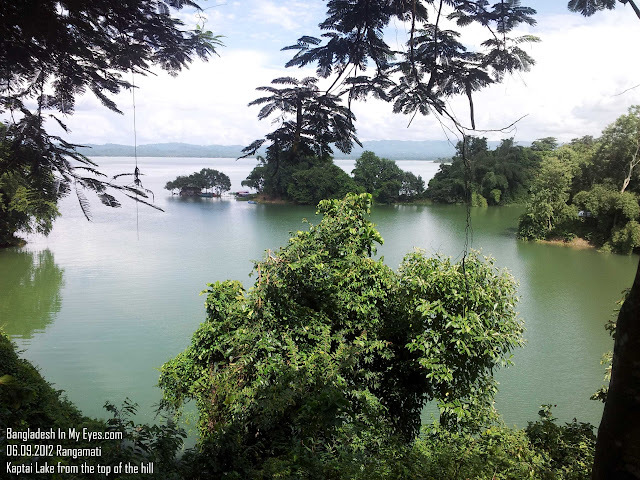 It’s another top spot people must go to see. 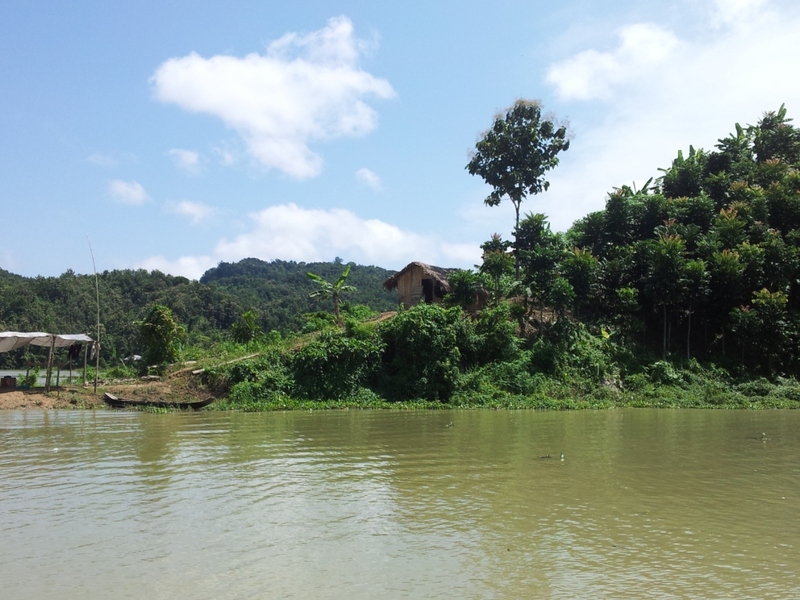 Lot’s of people come here to take bath. In 17th September, 2013 I have visited Rangamati again. 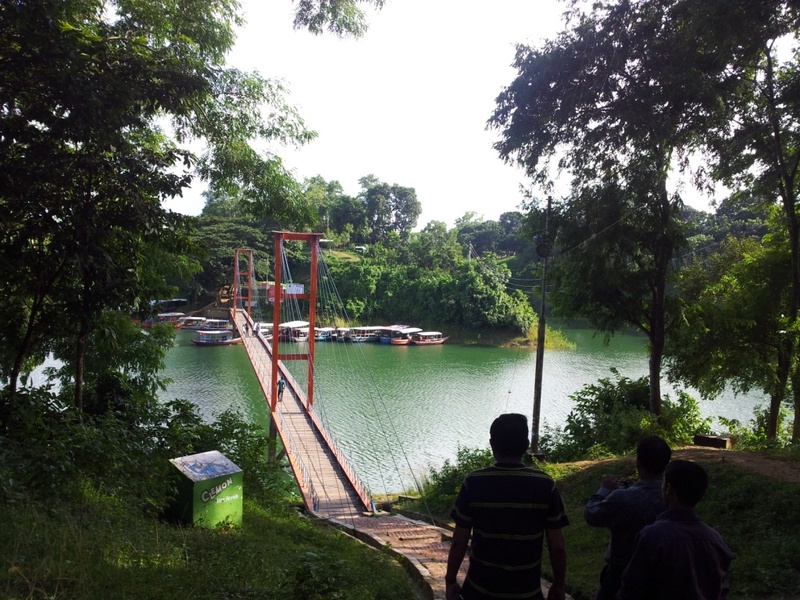 That time we went to the Hanging Bridge and Rajban Bihar only. 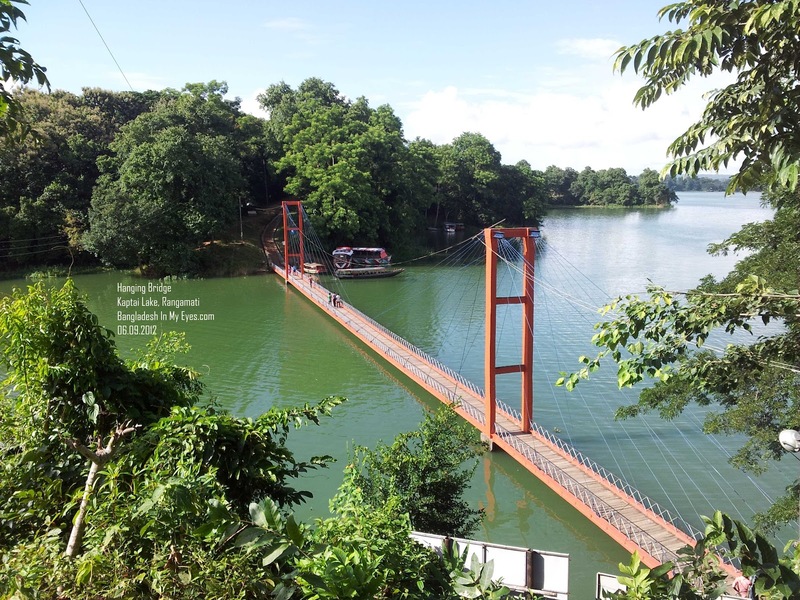 Hanging Bridge, Kaptai Lake, Rangamati. 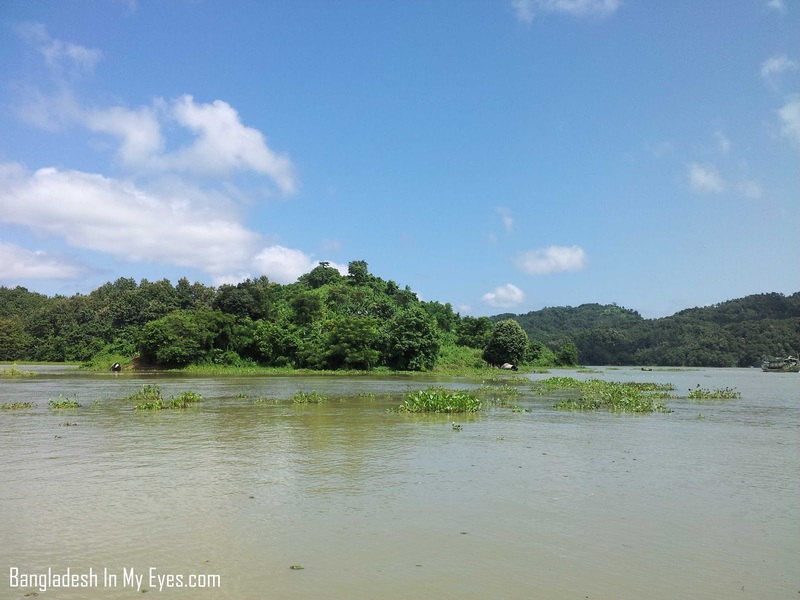 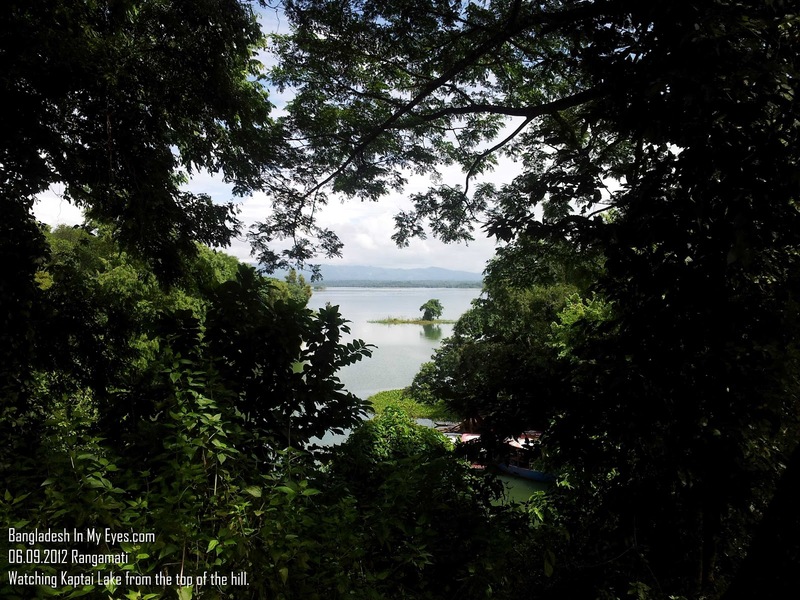 Kaptai Lake on the top of the hill. 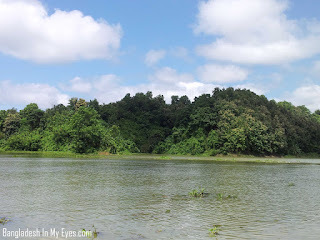 Kaptai Lake (কাপ্তাই হ্রদ): Kaptai Lake is the country's largest artificial lake. Kaptai Dam was made over the Karnaphuli river as a part of the Karnaphuli Hydro-Electric Project by the government of Pakistan in 1956. 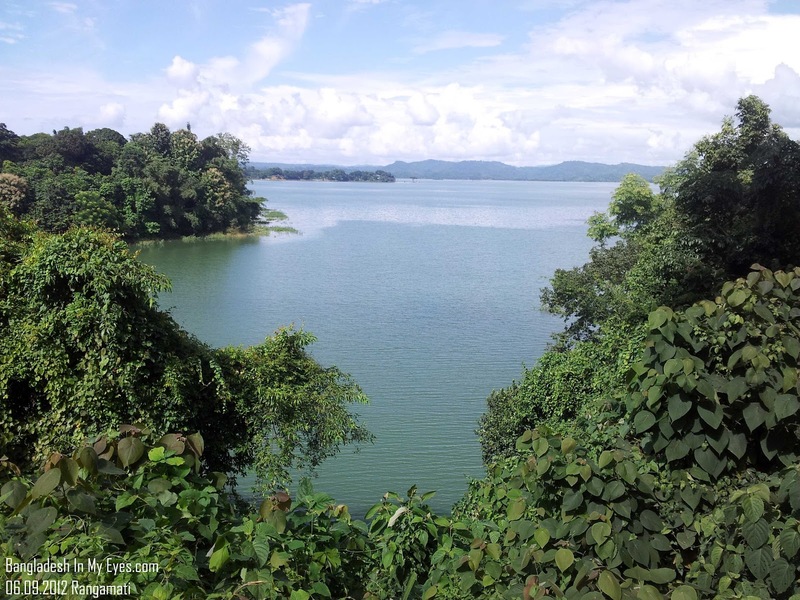 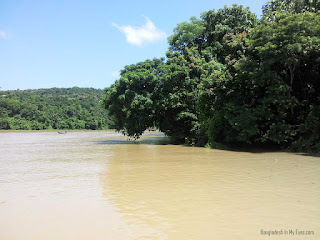 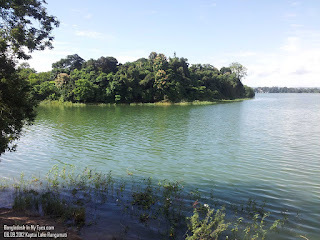 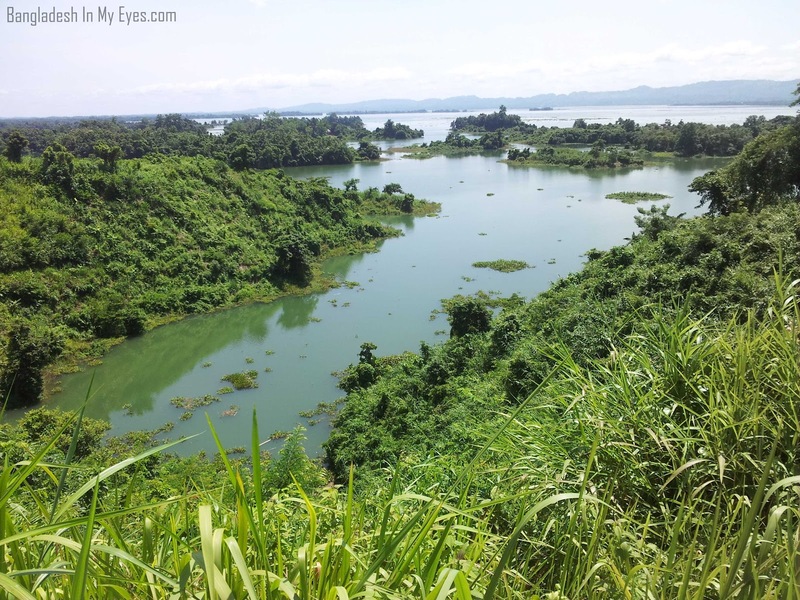 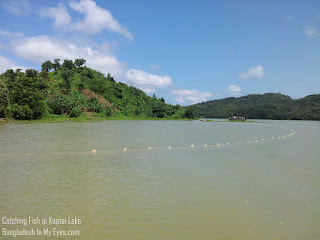 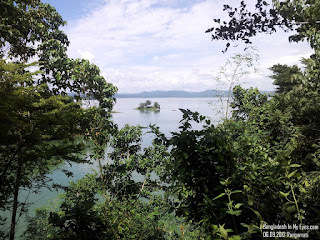 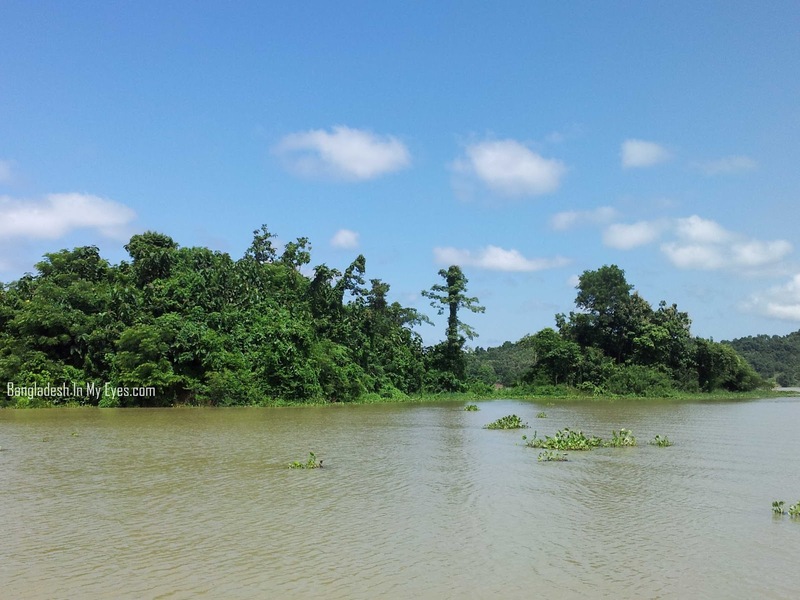 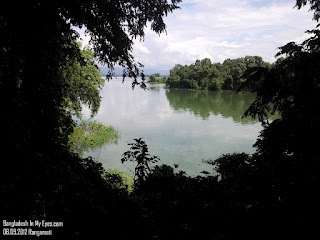 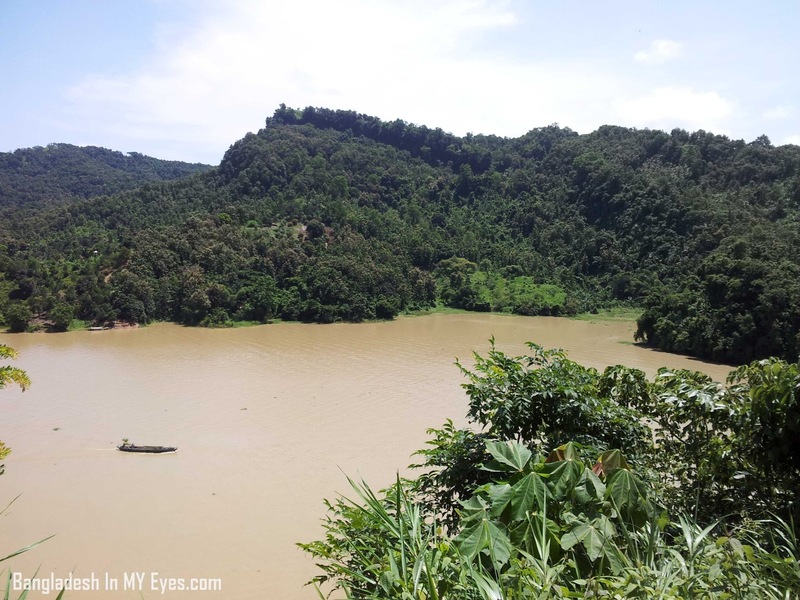 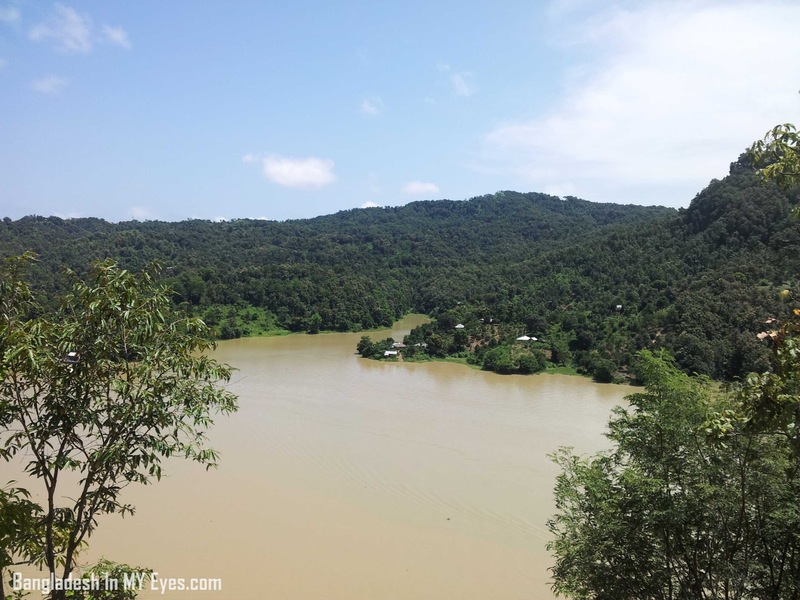 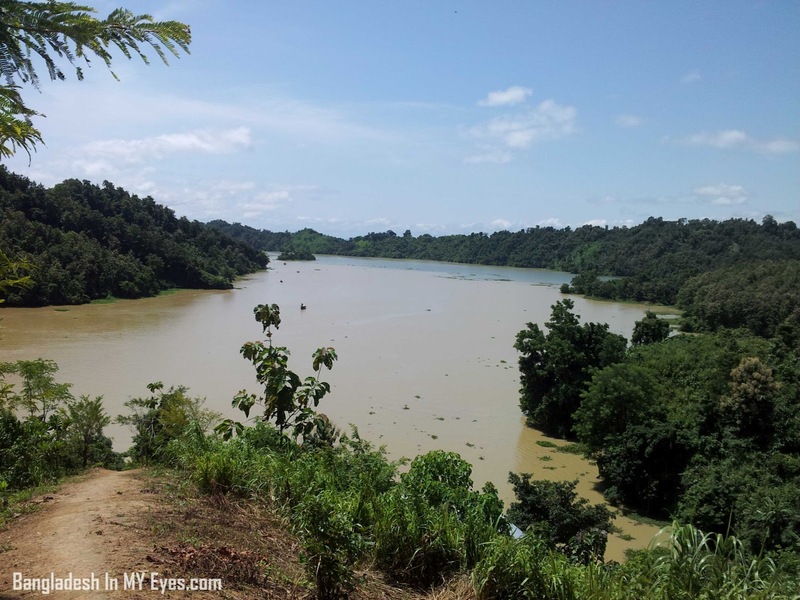 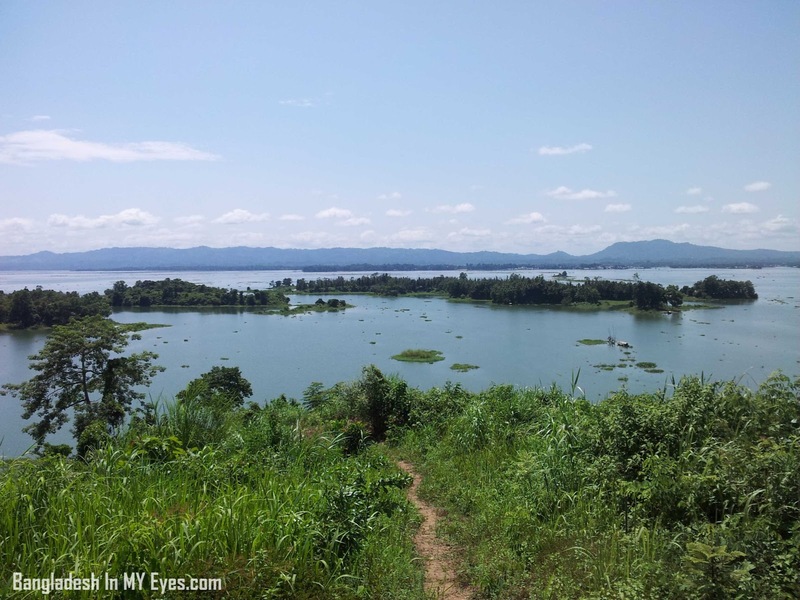 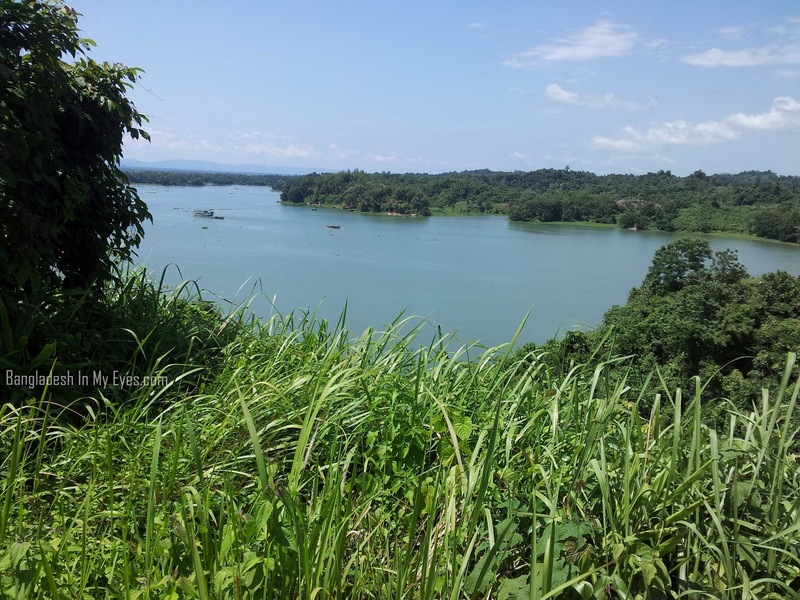 As a result of Kaptai Dam, Kaptai lake was created. 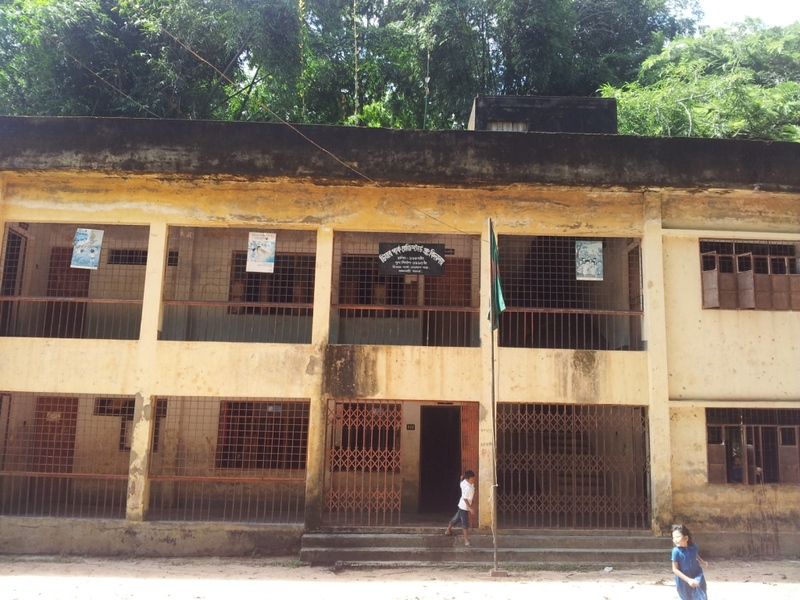 That project ended in 1962. 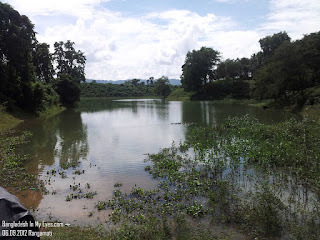 Although this Dam displaced about 100 thousand people of Rangamati but it gives them an important asset. 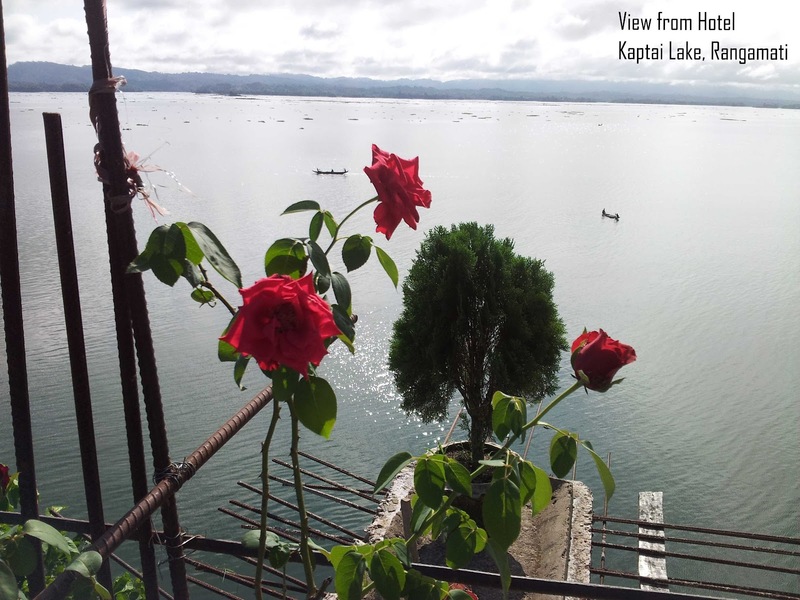 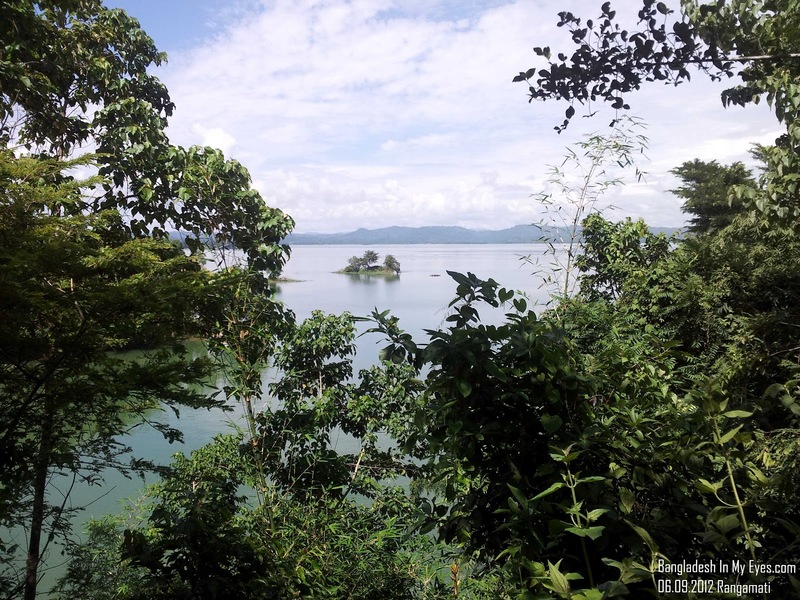 It become an important tourist spot as well as lots of people earn their livelihood based on this lake. 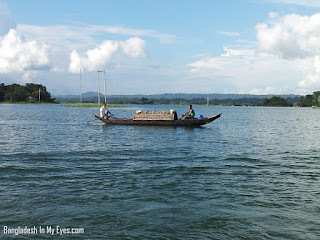 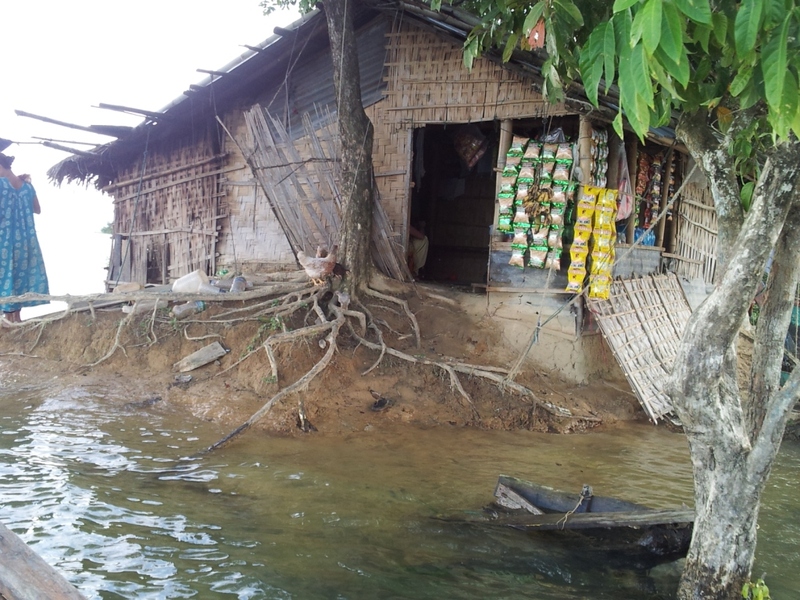 Small Shop over Kaptai Lake. Kaptai Lake from our hotel room. 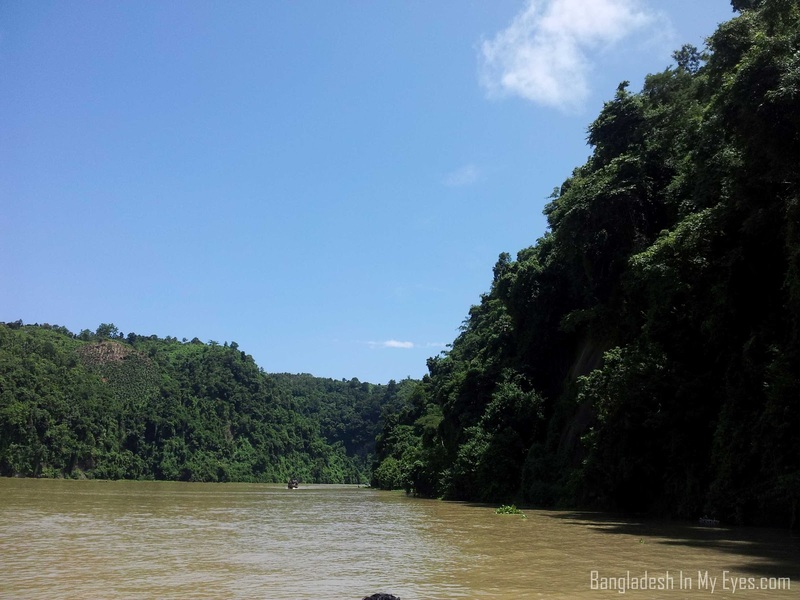 Shuvolong Waterfall (শুভলং ঝরনা) is one of the most attractive place in Rangamati district. This waterfall is always crowded with tourist. After traveling a long way finally it falls into the Kaptai Lake. 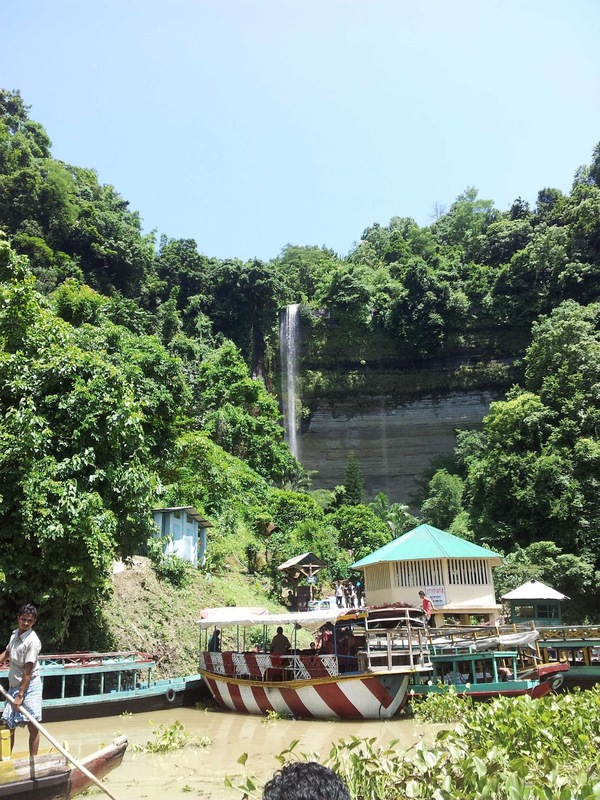 The only available path to reach at this waterfall is through the lake by boat. 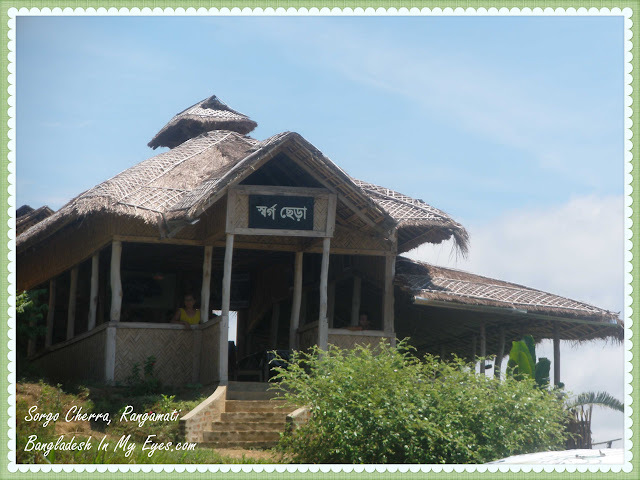 Rajban Bihar: I have written another post about Rajban Bihar. 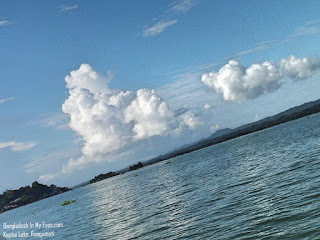 Click here or click on the picture to read the artical. Funny fact: Rangamati is the only district where you will not find any Rickshaw. It's because it's a hilly area. 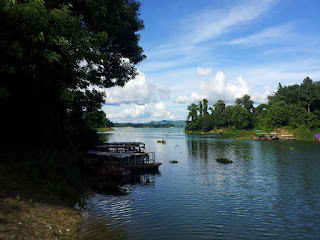 You have to use auto-rickshaw to move around. 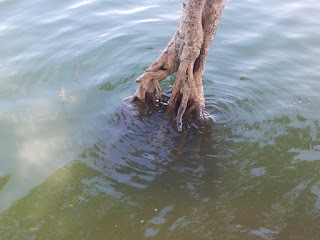 Although there are few more places to see. 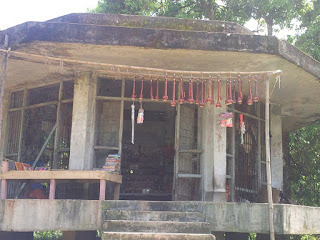 Because of shortage of time we are unable to visit them. 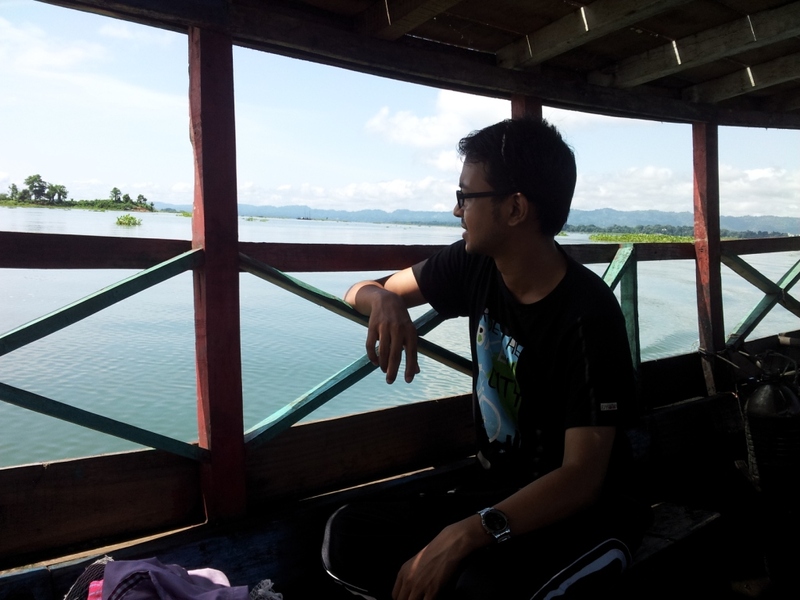 No more today. 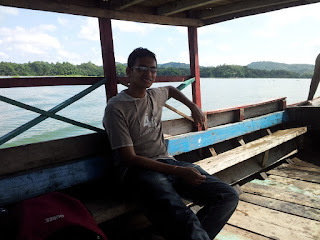 I will keep updating this article time to time. It was our bad luck that we didn't had much time to go all of that places. 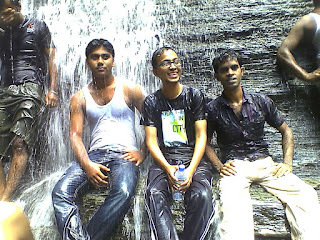 in this tour i liked Subhalang Waterfall spot. Thanks for your comments. 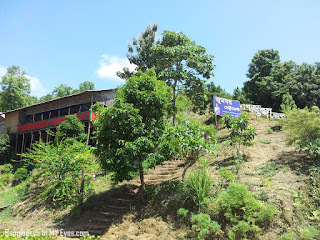 Another important thing we missed is the Tribal Cultural Institute And Museum.